Our first ever Christmas sale is live now with a huge 30% off across the whole website including brands Dr Leather, Fabsil, Kwazar, Black Mamba Gloves, EZ Detail, HD Car Care and many more! During the sale no other promotional codes are to be used, if used your order will be cancelled and a refund issued. Shipping times may vary throughout the sale (Please allow 2-3 working days before contacting us), a tracking number will be sent to you by email once dispatched so that you can estimate when your item(s) will arrive at the destination. Please note that the tracking information might not be updated immediately. Use discount code ‘XMAS’ at checkout for 30% off, valid until 17 December 2018. All items are subject to availability. 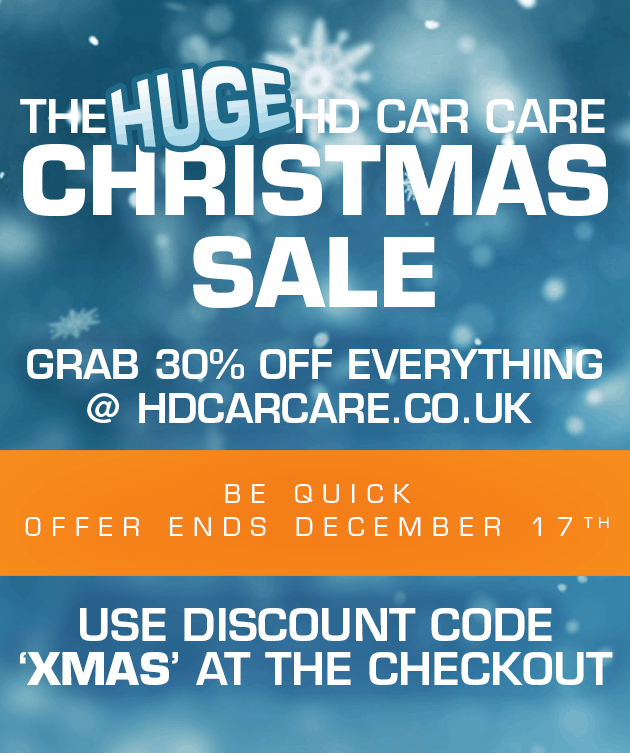 Visit our website for more info and to browse our full range www.hdcarcare.co.uk.